Love the new slots. I’m Anxious for the Excalibar. Any idea how much longer? 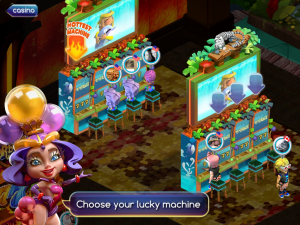 Also,,, there are always advertisements for new slot. 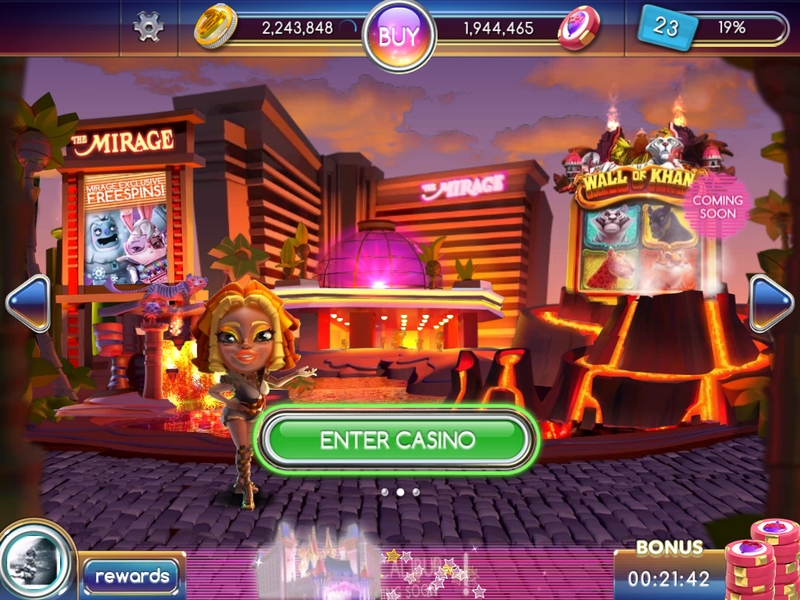 I personally think it’s a waste of time to play slots that I am not earning rewards. Is there any other ones? have you found that with popslots you stop getting the gold coins after getting approximately 200 of them? How am I only at 10,000 Loyalty points at level 41 but my friend just downloaded his game yesterday and he’s at level 6 and he has about 137,000 Loyalty points?? 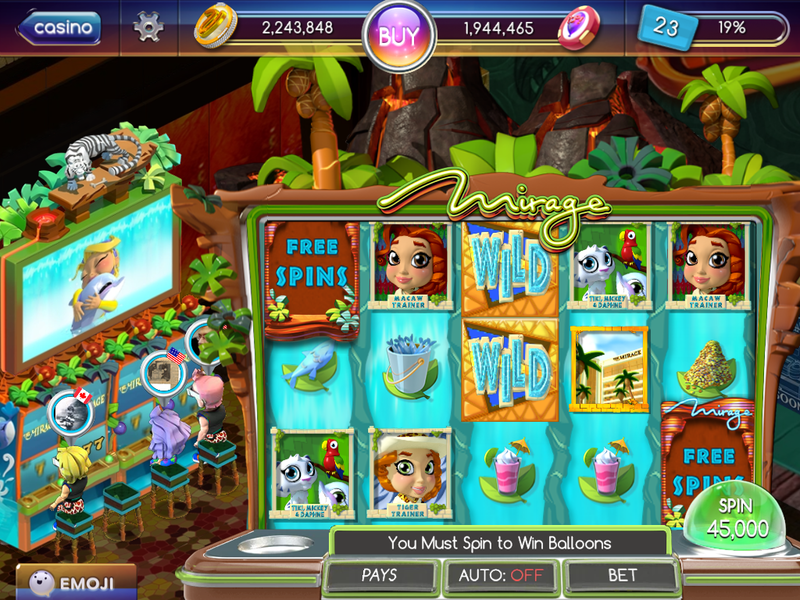 Perhaps he’s playing another my Vegas slots game. There are 4 mobile games that are linked by your FB that give coins. Thanks for your comment on the “Let The Chips Fall” website. First off… I’m not associated with Play Studios, so I can’t “check” anyone’s Loyalty Point earnings. But, since you asked, my best guess is that your friend ALSO plays a DIFFERENT MyVegas game, (MyVegas of Facebook, MyVegas Mobile, MyVegas BlackJack or Konami Slots) and has synced their Loyalty Points by associating their MyVegas accounts with their Facebook Profile. 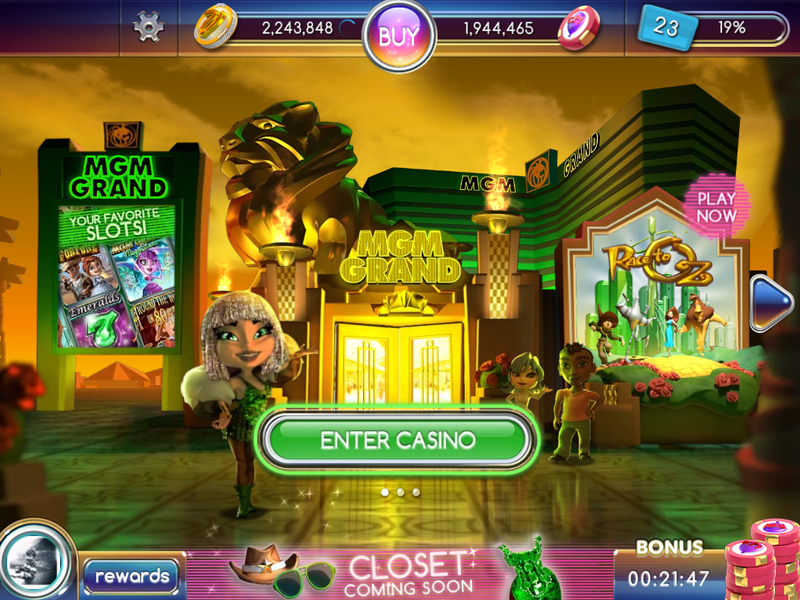 Once you sync your profile (which is important, in order to “save” your Loyalty Points and Game progress) all your Loyalty Points from ANY of the MyVegas games will appear in your total. 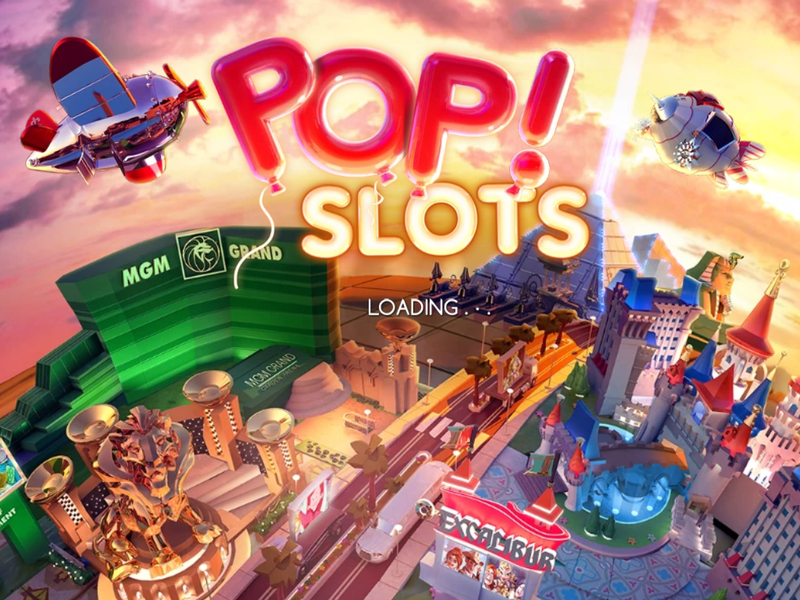 Good luck on Pop Slots! Well… some folks buy chips. Some folks collect their chips every two hours. Some folks save their chips until they can play with only really big bets. 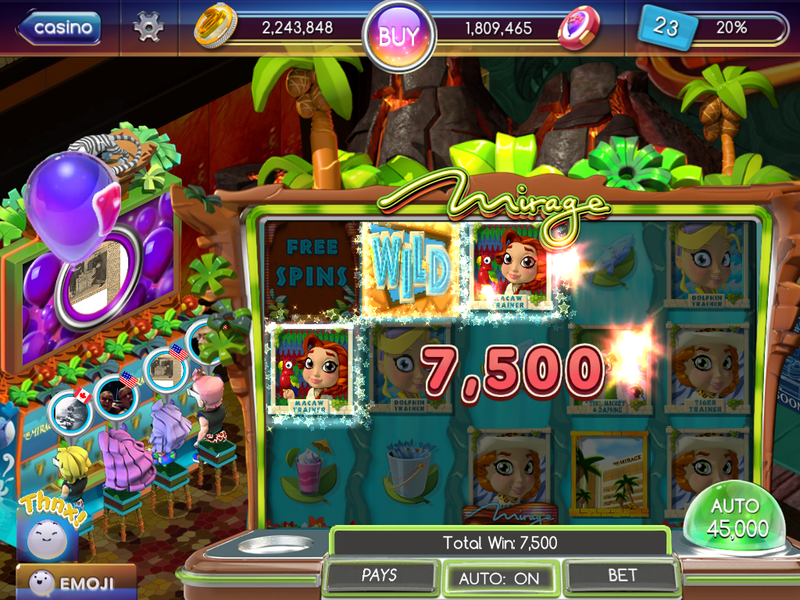 Some win huge bonuses. When you bet larger amounts… the Levels go by faster. 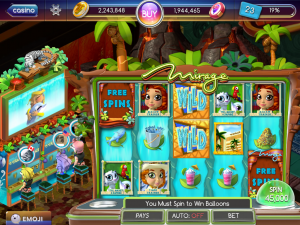 Hi, longtime Myvegas player from CA here who also plays desktop and the other 3 mobile platforms. I have kept a chip inventory of at least 200 million chips since Level 50 or so by playing about 500,000 or so give or take per spin on the games. 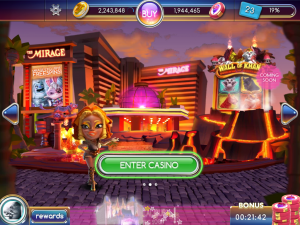 I am now over Level 150 and am moving steadily up this way while never going broke. Also, if you can afford it. STICK WITH THE MACHINE YOU ARE ON UNTIL SOME ONE TRIGGERS THE BONUS ROUND. The more money and time invested leads to bigger bonus payouts. If all your fellow players leave, don’t worry, the system will always get you new machine-mates to give you a better chance to get into a bonus round.